Identity Theft is very common nowadays! How often you received Promotion Call from unknown organization? With identity theft on the rise, it is necessary to be aware what is the Dos and Don’ts Of Using Credit Cards Responsibly. All of us are not born knowing how to use credit cards. Still, it is very important learn the steps to avoid being Identity Theft victims. * Keep your signed receipts and use them to counter check against bank Monthly Credit Card’s Statement. It is a good practice to Keep your invoices for a comparison with your credit card statement. * Keep your Credit Cards in a secure place. * Do notify the bank in advance on any change of address if you move. * Do keep the bank updated with your latest mobile number to allow the bank to perform verification of unusual or suspicious transactions. 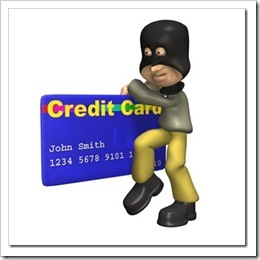 * Report immediately to your Credit Cards issuer if your Credit Cards is lost or stolen. It good to keep a list of latest bank Credit Cards contact number. * If you have just received a new credit card, put your signature on the backs of your credit cards right away and call the Bank to activate the Credit Cards. Cut up the old cards when they expire. * Always Rip up or shred all bills that would have any private information on them. * Never allow any third party to transact on your behalf. 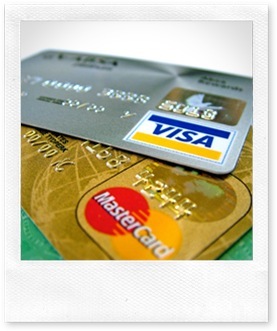 Get a supplementary Credit Cards whenever possible. * Do not throw your signed receipts away immediately after a transaction. * Do not write your PIN in your diary or book. * Do not leave your Credit Cards in your car, office drawer or briefcase. * Do not enter your Credit Cards details on a public computer. * Do not give Credit Cards details over the Phone or Internet if you are unsure. Always call back to verify. * Do not provide your Credit Cards information on a website that is NOT a secure site. * Never provide your Credit Cards information Online unless you are making a purchase. * Do not keep any of your account numbers, Credit Cards or any sorts of receipts scattered around anywhere. * Never respond to e-mail that request for your Credit Cards information. * Do not EVER respond to e-mails that ask you to go to a website to verify personal(and Credit Cards) information. * Be cautious about e-mails that offer credit services. many unsolicited e-mails are fraudulent. * Never click on Internet Web link within e-mails. Instead type the ink manually. This maybe Phishing. If you receive a Call from a Telemarketeer, ask questions. The fewer questions the caller can answer, the more likely they are calling from illegitimate business. Identity Theft can make your whole life turned upside down and will definitely give you a terrible nightmares. Just using the information above will help you to minimized your risk to become the victim of identity theft. Being vigilant in protecting your information can save you money, time and stress. I HAVE been a victim of an Internet scam. Upon realising an hour later that I had been fooled into paying US$1.88 because I was unable to find the website, I immediately made a call to Maybank. I had to wait for more than 30 minutes before my call was answered. This was way past midnight. I was then redirected to the credit card department and during this time, I had to wait for another 10 to 15 minutes. A woman staff then informed me my card had been charged three times within an hour amounting to RM220. This was the point where the frus­tration began. First, I was advised to check with the merchant if they were fraudulent. Further to that, I was asked how I knew the website would use my card to do any unauthorised transactions, and how they could know my security pin. The call centre then proceeded to tell me that all Maybank online transactions require a password, which I am not familiar with. Finally I conceded to pay the abovementioned charges, as all I wanted was for my card to be cancelled to prevent further unauthorised transactions. Now here’s the cherry on top of the whole debacle. I couldn’t cancel my card because it was not lost and because I couldn’t prove that fraudulent charges had been made to my card. I now had to tell her that I had just dropped my card in a drain and wanted to report a lost card. Five minutes later, her superior told me he had to charge me RM50 for losing my card. Where is the comfort of security for credit card users after they suspect they had been duped? Plenty could happen between midnight and 8.30 in the morning. What’s the purpose of a call centre if I still need to make a formal complaint at the nearest Maybank? Is this standard procedure? I refer to the letter “Scam victim seeing red over bank’s lack of urgency” (The Star, Nov 13). The writer highlighted his frustrations over the cancellation of his credit card as a result of an Internet scam. The Internet is a useful tool but it also has a dark side, and unless we take precautions, it can cause us more harm than good. Cyber crime such as the Internet or phishing scam is pervasive, so much so that it has overtaken illegal drug trafficking as the No.1 criminal money maker. One in five people around the world will become a victim of cyber crime. Scammers and hackers don’t just destroy computers – they destroy lives. 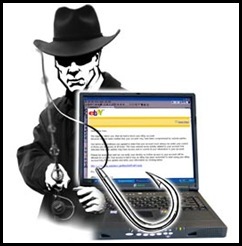 Today, cyber criminals are more like off-line crime syndicates gangs. They operate in an underground cyber crime economy – equivalent to an Internet black market – where they buy, sell, barter and trade criminal skills, tools and even your private information, such as ID and credit card details. Their methods are also getting sophisticated and devious. Our researchers see over 200 million attacks on average every month, most of them are never-seen-before threats and delivered via the Web. Symantec is committed to reaching out to consumers to educate them on the changing online threat landscape and empowering them with tools and knowledge to avoid digital dangers and protect their online lives. > Invest in a comprehensive security software. This is the most fundamental layer of defence to safeguard your financial information. Look at security software that not only offers basic protection from viruses and spyware, but also helps detect malicious attacks. It’s no longer sufficient to have anti-virus solutions alone, but also two-way firewall, password encryption, anti-phishing toolbars and regular updates. Your security suite should also feature the latest technology as traditional solutions such as the signature approach and behaviour-based detection are obsolete and are not keeping pace with threats being created by cyber criminals. > Be wary of e-mail asking for confidential information, especially of a financial nature. Legitimate organisations will never request sensitive information via e-mail, neither will they contact you out of the blue and ask for your account information. > Don’t cave in to fear. Cyber criminals know how to trick us into lowering our defences. For example, they may threaten to disable an account or delay services until you update certain sensitive information. If there’s a legitimate reason that your bank needs information from you, they will contact you via official correspondence. Don’t let fear dictate your actions. > If it sounds too good to be true, it probably is. People go online to find great opportunities. They want to work from home, get investment tips or a good bargain. The reality is that if the deal sounds too good to be true, then it’s probably a scam. There are legitimate work-at-home opportunities, investing newsletters and sales deals online but they’re going to come with pros and cons just like the real world. If you don’t see any cons, assume that you’re seeing a scam. > Watch out for generic-looking requests for information. Fraudulent e-mail is often not personalised, while authentic e-mail from your bank often refer to an account you have with them. > Never submit confidential information via forms embedded within e-mail messages. Never use links in an e-mail to connect to a Web site. Instead, open a new browser window and type the URL directly into the address bar. EFFENDY IBRAHIM, Norton Business Lead, Asia South Region, Symantec. This entry was posted on Sunday, November 29th, 2009 at 1:12 am	and is filed under Credit Card. You can follow any responses to this entry through the RSS 2.0 feed. Both comments and pings are currently closed. MUAR: The next time you get an e-mail from a friend or relative saying they are stranded or have been robbed while overseas and need urgent cash to get back, chances are it is a scam. Federal Commercial Crimes director Comm Datuk Koh Hong Sun advised Internet users to be cautious as there are Internet scams nationwide. “If known names send distress e-mails requesting for financial help, try verifying the facts as there are a lot of scams out there,” he said, adding that many originated from overseas. Comm Koh advised Internet users to regularly change their passwords, use a password that would be hard to guess, never reveal the password to anyone and have a copy of the Internet address book just in case if you need to inform people that your e-mail has been hacked into. In a recent case in Johor, a victim, who only wanted to be known as Leong said that he had received an official e-mail from Yahoo! saying that he needed to provide them with his particulars, including his password to upgrade their services. “The next day I got a shock when I received over 20 calls and SMSes from friends and family asking if I was in trouble and needed help. “They told me that they had received an e-mail from me saying that I was overseas and someone had stolen all my money and I desperately needed some money,” he said. Leong said the e-mail also included a London-based address where his friends and family could forward their money. “I immediately called up my closest friends and warned them of the scam,” he said but found two of them had believed the message and forwarded their credit card details to the sender. “Now I cannot access my e-mail and I have lost all my contacts. “I am also not sure how many other people in my contact list have forwarded money or their credit card information after reading the e-mail,” he said. KUALA LUMPUR: A total of 1,191 cheating cases involving RM1 million fraudulently transferred via Internet Banking were detected between January and June, the Dewan Rakyat was told on Wednesday. Deputy Minister of Finance Datuk Chor Chee Heung, however, said the cases were still small when compared to overall Internet Banking transactions done in the same period. A total of 50.3 million transactions involving RM348.5 billion were conducted in the first six months but the losses incurred was only around RM1 million, accounting for only a negligible 0.0003 per cent, he said when replying to Fong Kui Lun (DAP-Bukit Bintang) during question time. Fong wanted to know the number of Internet Banking fraud cases detected and total losses suffered by bank account holders. To ensure safe use of electronic banking, Chor said Bank Negara had issued specifc must-comply guidelines on security control measures to all financial institutions providing Internet Banking and Automated Teller Machine services. The Central Bank had also ordered banks and finance companies to implement the two-factor authentication for high-risk Internet Banking transactions. Chor said banks must ensure their infrastructure system was equipped with security control device to detect and register any dubious banking transactions. Banks should immediately report to Bank Negara on any form of fraudulent cash withdrawals besides conducting educational and awareness programmes on electronic banking safety measures for account holders. GEORGE TOWN: Penang police detained five people, including two women, believed to be members of a credit card fraud syndicate, in an operation in Prangin Mall here last Thursday. State Commercial Crime Investigation Department chief ACP Roslee Chik said the arrest of the five, aged between 20 and 30, was made possible by intelligence work three months ago. “The suspects were busy shopping at the mall when they were nabbed,” he told a news conference here Tuesday. He said in the 7.30pm operation, police also seized a skimming device, believed to be used to intercept credit card information, several newly purchased electrical goods, 33 fake credit cards and RM1,100. “Their modus operandi is to use the skimming device to obtain information on chipless credit cards issued by overseas banks, before the data is transferred to fake credit cards,” he said, adding that the syndicate was active in Kedah and Perak. Roslee said chipless credit cards were normally used by foreign tourists when they shopped in Malaysia. “This is when the syndicate members steal the credit card numbers to be falsified. Each fake credit card has a credit limit of up to RM20,000. He said one of the women was the girlfriend of the man, who was also believed to be the syndicate’s mastermind.